BLACK FRIDAY BEAT-THE-PRICE-INCREASE SALE. 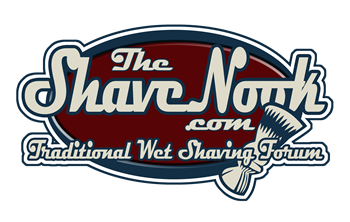 Beginning at 12:01 am the morning of Black Friday, twenty of my shaving soaps will go on sale for $9.00 - the sale price will remain in effect through midnight Monday, November 27 or while supplies last. This is a 20% savings off the new shaving soap prices. SHAVING SOAP PRICE INCREASE. After six years, I am forced by continuing rising costs of my raw ingredients to raise my price on all shaving soaps from $9.91 to $11.32 ($10.50 to $12.00 including Maryland sales tax for in-state purchases). New prices for shaving soaps will go into effect at 12:01 a.m. Friday, November 24th. My new aluminum-free cream deodorant is made with zinc oxide, baking soda, activated charcoal and essential oils in organic coconut oil, mango butter and beeswax with arrowroot starch and powdered silk to absorb moisture. Customers tell me that it is more effective than any other “natural”-type deodorant that they have tried. My Lavender blend deodorant is available at 20% off for Black Friday. Unscented Shampoo Bar - My Original Shampoo formula, with no added scent. Neem & Tea Tree - A liquid extract of soapnuts, neem leaf and marshmallow root. Scented with Australian tea tree oil. PLEASE NOTE: If you try to purchase more than one of an item and are told it's sold out, try reducing the quantity - there may be one or two left. INTERNATIONAL CUSTOMERS are welcome to place orders, but the usual international shipping charges will be charged separately, and the cost of shipping will depend on the weight of the package.